For a few years we often didn’t buy cream or butter, instead opting for lighter options like cooking sprays, nut oils, coconut oil, fat free yoghurt, soy milk and buttery ‘spread’ to get our creamy, oily, dairy fix – all of which are fine in their own right, even great sometimes. However, we limited ourselves because of literature and being told in articles, cookbooks and TV shows that we should keep our consumption to rare occasions. Then, in turn, pushing ourselves towards less natural and far more processed products which were touted as ‘much healthier’ but often meant they were imported, refined and harder to trace origins, suppliers and producers. 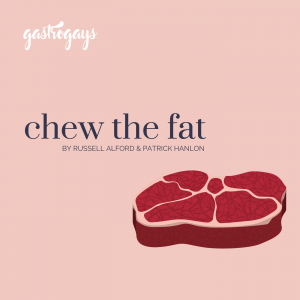 This past three years or so since we’ve been living together we have found a really common interest in fresh, natural foods and we stick to a diet where we hardly ever limit ourselves with what we eat. How? Well… Whenever we cook we try to always rely upon making everything from scratch, no excuses – save for the necessary sheet or ready-rolled, frozen puff pastry here and there. Knowing what is precisely inside your food is so important. We’re control freaks in that way, but far better you have control over your own kitchen, diet and body than a nutritionist or ‘celebrity chef’ pontificating your cupboards and scaremongering while urging the outlaw of good, wholesome products that you shouldn’t have all day everyday but that you definitely should have, should enjoy and shouldn’t feel guilty or negative afterwards! The very point of food is satisfaction and pleasure, in our books. 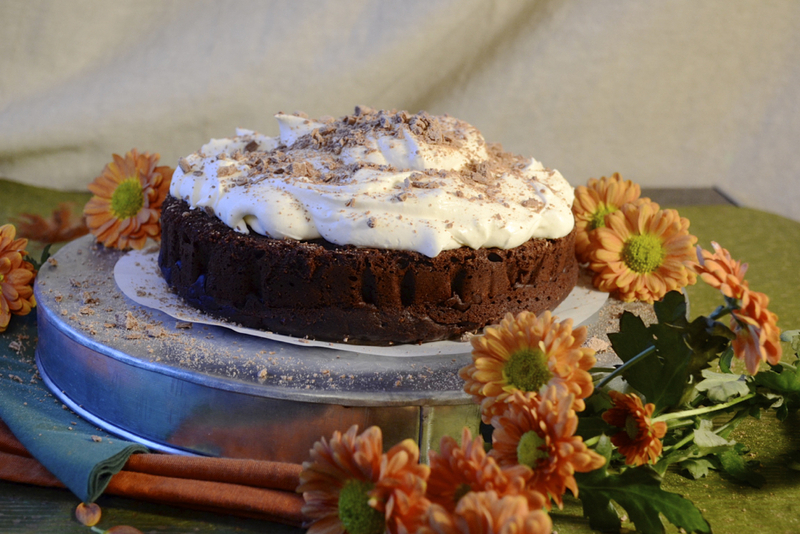 We’re also firm believers in having your cake and eating it too. Not all butter, sugar and flour combinations have to result in guilty indulgence and calorie counting afterwards. 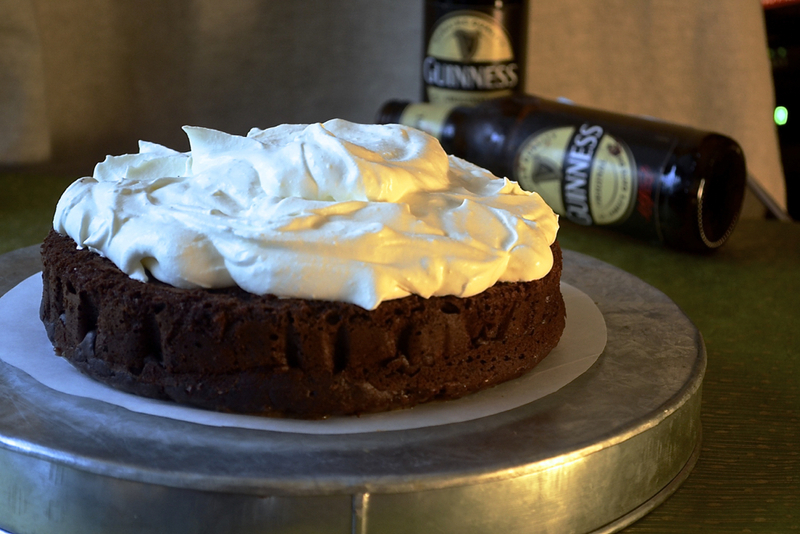 Also, let us be the first, tenth, 100th and last person to tell you that you simply must chuck a bottle of Guinness into a cake batter. Pour the thing into brown bread. Drink it with oysters. Have it with some salty chips like we just had in Brussels. Embrace the Guinness. 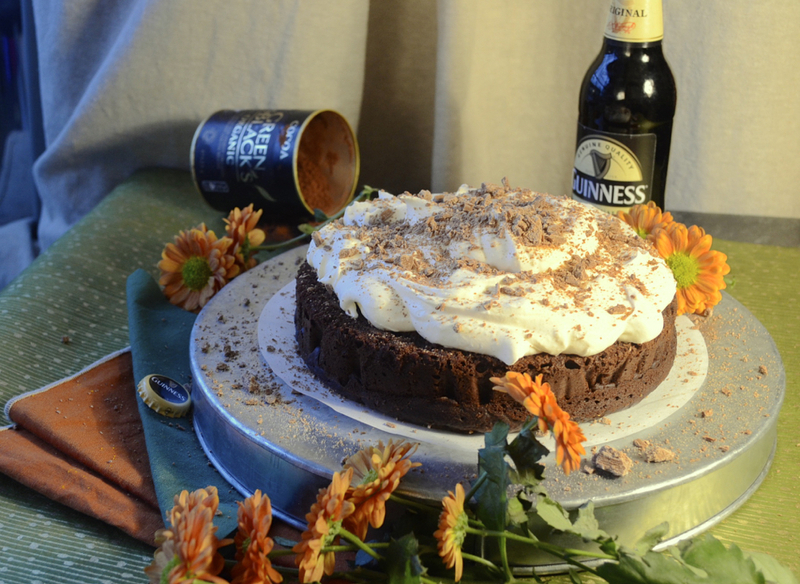 Which is why we want to share this recipe for a fantastic chocolate Guinness cake. Light yet slightly fudgey; tall yet thick; creamy and sweet yet earthy; delicious, just delicious. 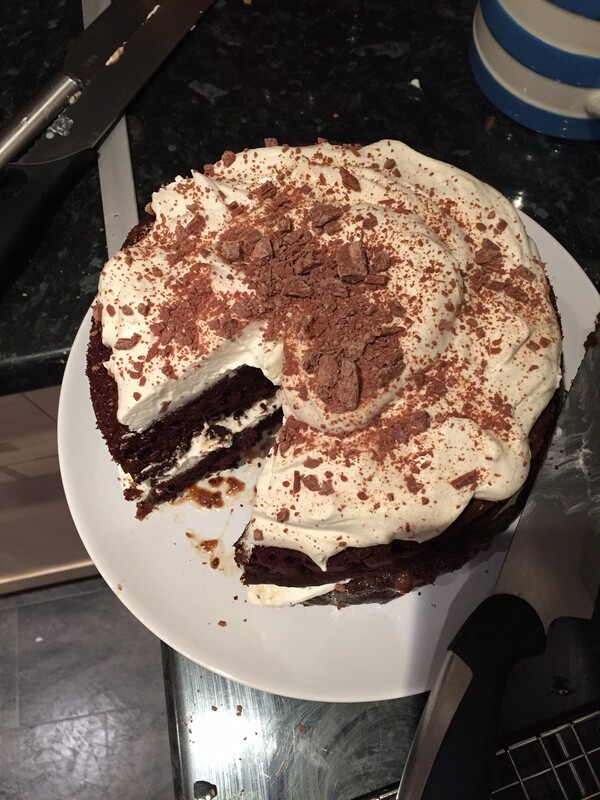 We want to have cake as often as possible, but it’s not always possible. However, by making slightly healthier choices it’s definitely less of a guilt-ridden sin. 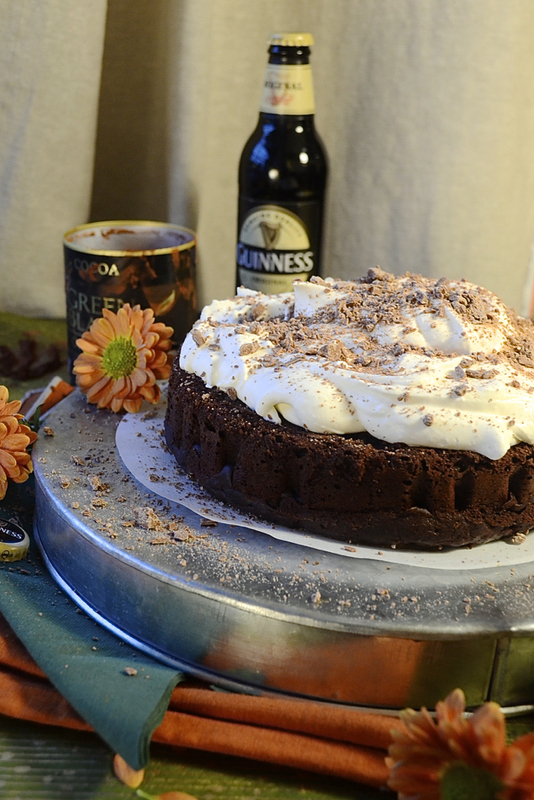 There’s almost no sugar in this Chocolate Guinness Cake recipe and it’s filled with fresh and natural butter plus sandwiched and topped with just pure, whipped fresh double cream. 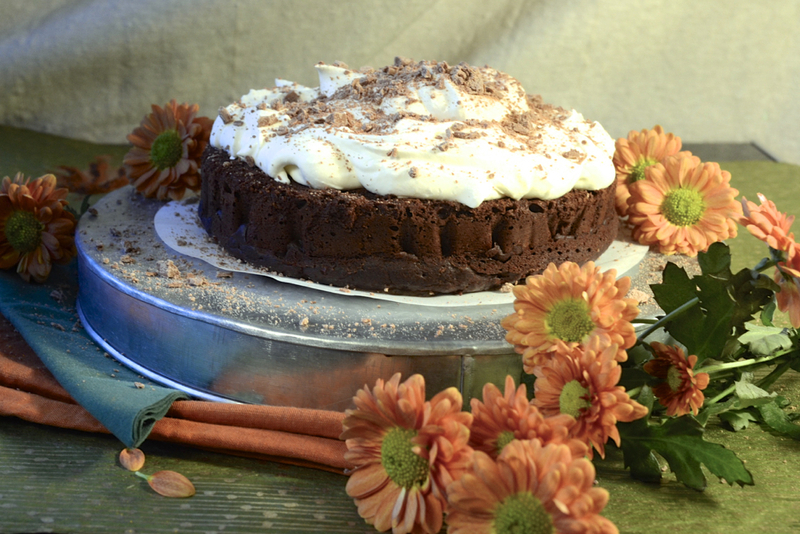 Simple, natural, and just a little naughty – exactly how it should be! 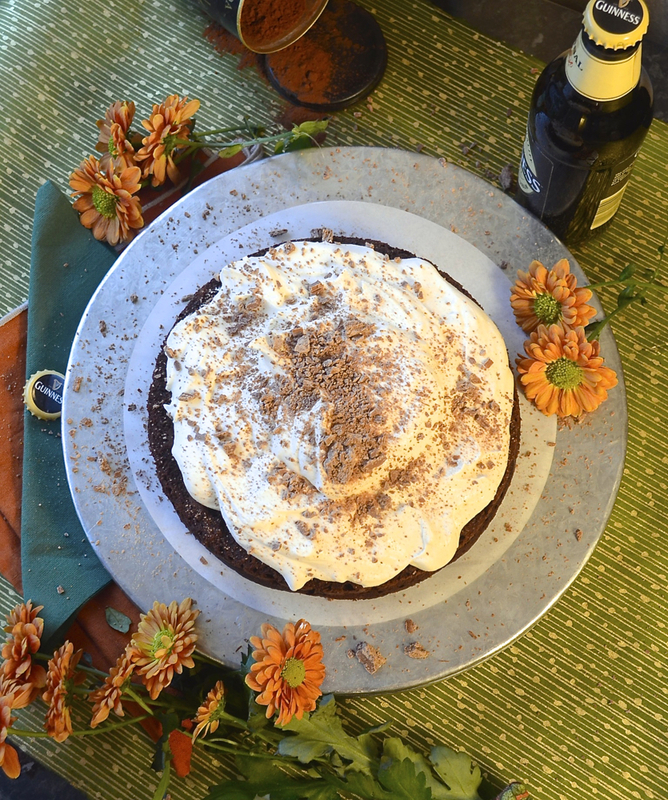 We also gave this stout cake a ‘kick up the arse’ as we Irish would say, adding to the earthy undertones already present with a stiff, sharp shock of espresso to add richness and complement the chocolate and vanilla flavours. 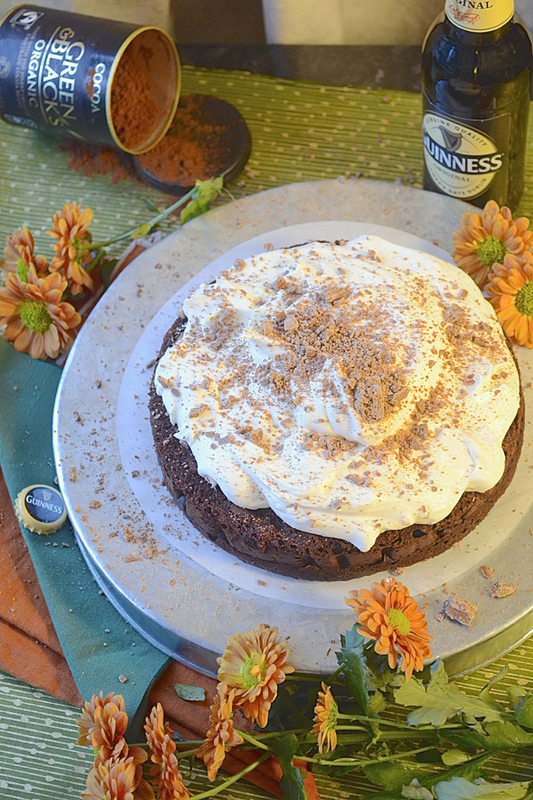 Another surprising aspect of this rich, chocolate guinness cake is, well, there’s actually no real chocolate in it. But it’s devilishly dark? It looks fudgey and sweet?! Yes, but it’s all cocoa powder and Guinness giving the colour. 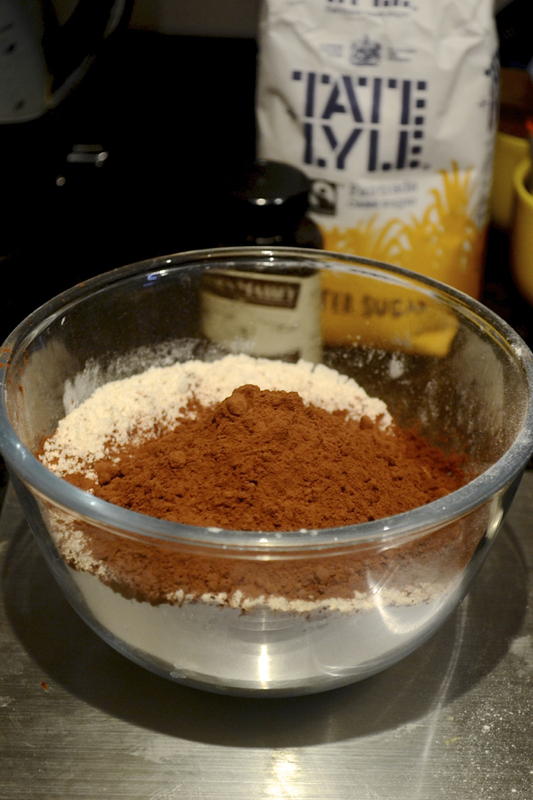 We didn’t want actual chocolate to weigh this batter down (though you may try that if you prefer) so we replaced some of the flour with cocoa and chucked in a bucketload. 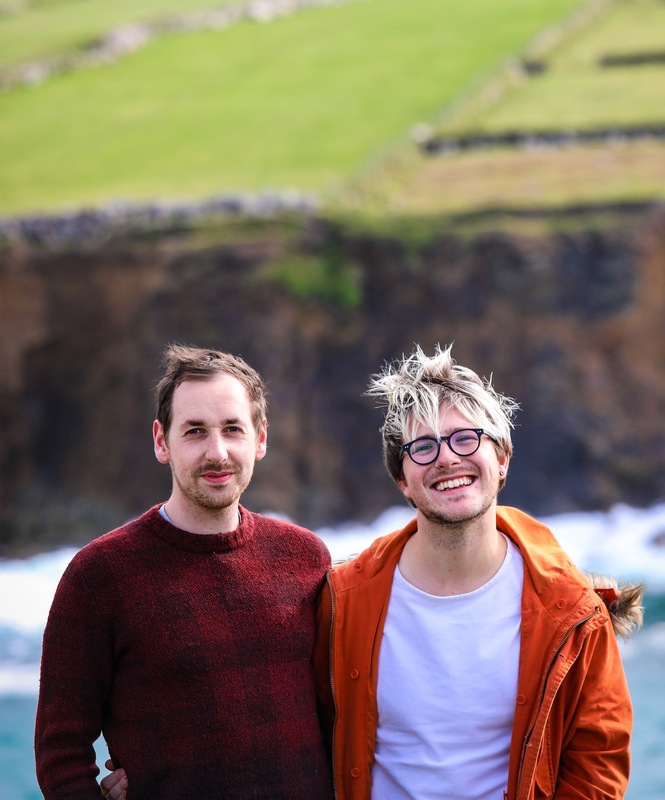 We love Green & Black’s Organic brand, it’s always been the brand we’ve trusted and we always go instantly towards it for all our chocolate needs – both powder and bars. Now. We know what you’re thinking. Stewed raisins?! WHAT. Read on…. 1. 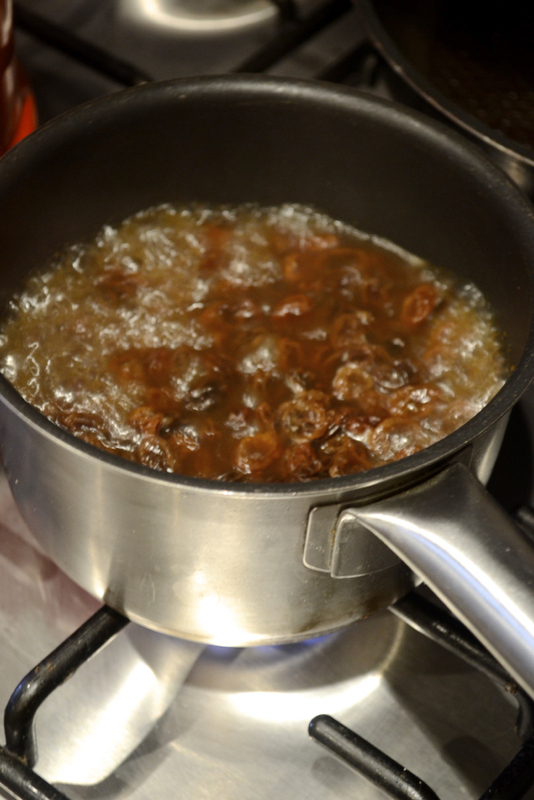 Soak and stew your raisins first. Pop them in a small pan and cover them with enough water to submerge and then 1cm or so more. 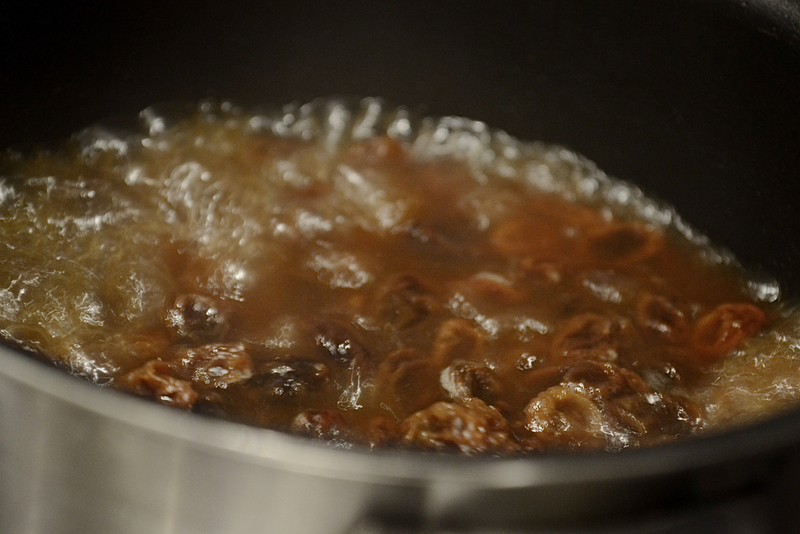 Stew on a medium low heat for about 15 minutes until the raisins are plump and have mostly absorbed the water. Then, allow to almost completely cool. Take out a hand blender and blitz it up to a thick paste consistency, not unlike a firm jam. 2. Re-weigh again to get 250g of raisins from that stewed and blitzed mixture as it will have adjusted its weight during that previous process. – – Any excess can be saved to spread on warm scones or popped into fresh porridge as a sweetener. 3. Pre-heat the oven to 170°C and grease and line two same-sized baking tins. 4. Separate and weigh all your ingredients, and in a large bowl whisk the butter, sugar and vanilla together until pale and fluffy, then incorporate the egg yolks one by one. 5. 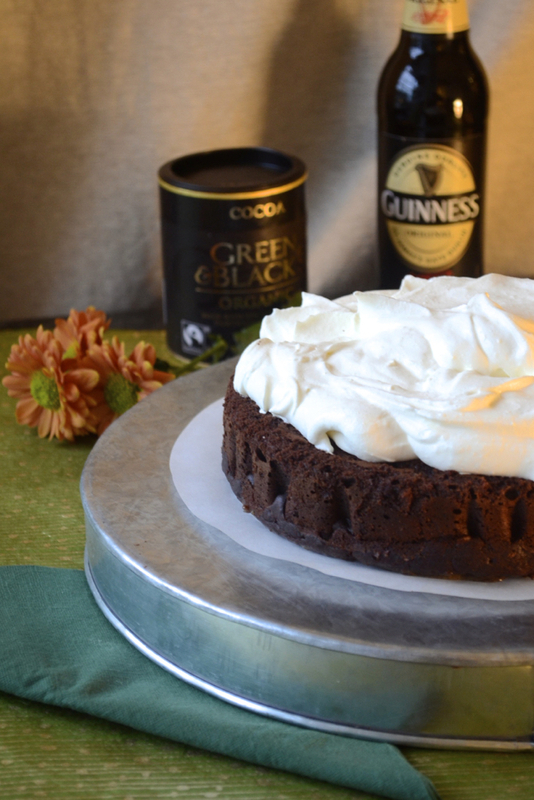 Introduce the raisin mix and cooled coffee shot and whisk vigorously, then alternate the dry mixture with the Guinness in about 3-4 additions each. 6. Finally, whisk the egg whites until fluffy and just holding their shape. Stir into the cake batter lightly, but quickly. 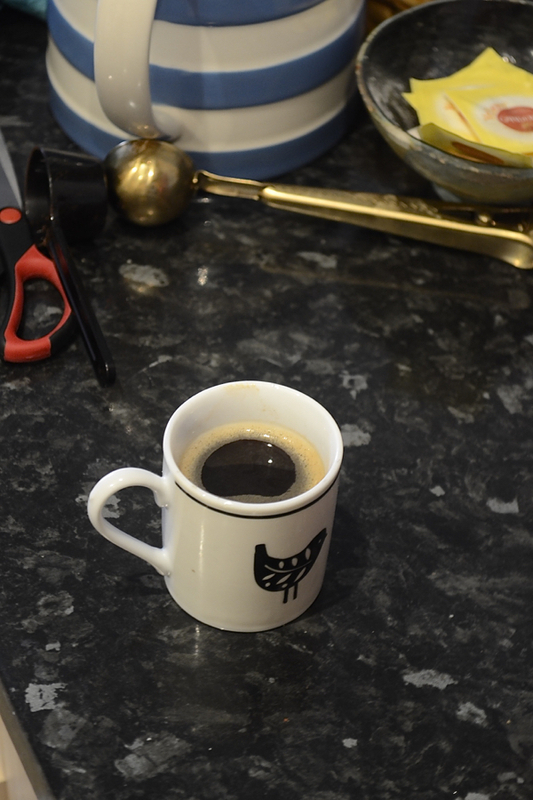 Then decant between the two tins. 7. Bake in the centre of the oven for 30 – 40 minutes or until just cooked, firm on the top and a skewer comes out clean. Allow to rest in the tin before turning out and taking off the paper, then let cool. 8. 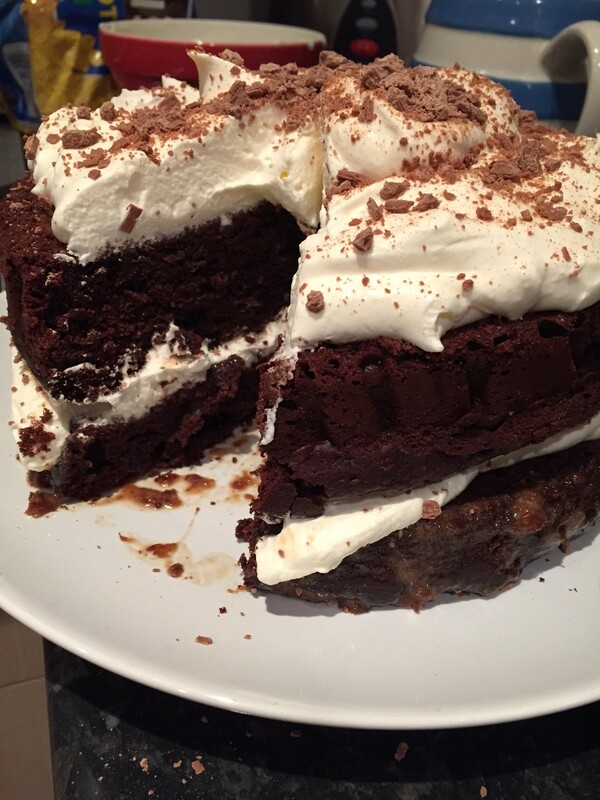 Whip your double cream until stiff and holding its shape. Refrigerate until ready to use. Once the cake is cooled, sandwich the two layers with a layer of cream about 1cm in height and not quite reaching the sides. 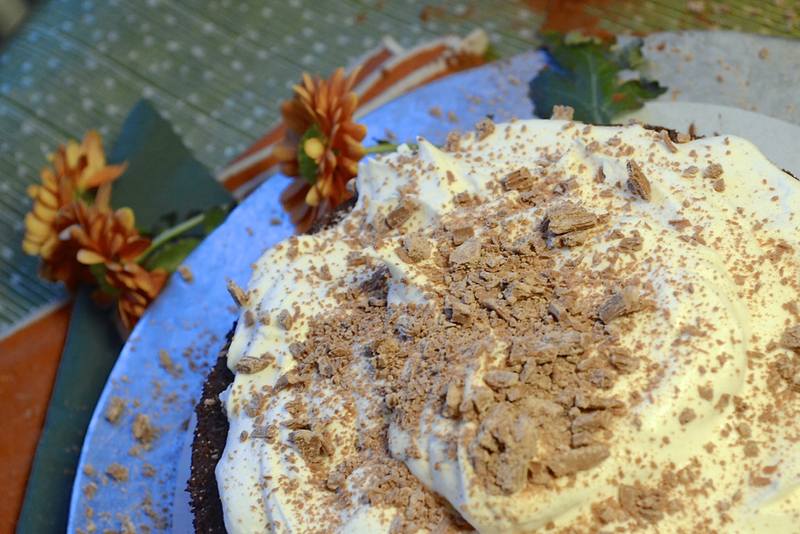 Then top the cake with the rest of the cream. How are you celebrating St. Patrick’s Day? 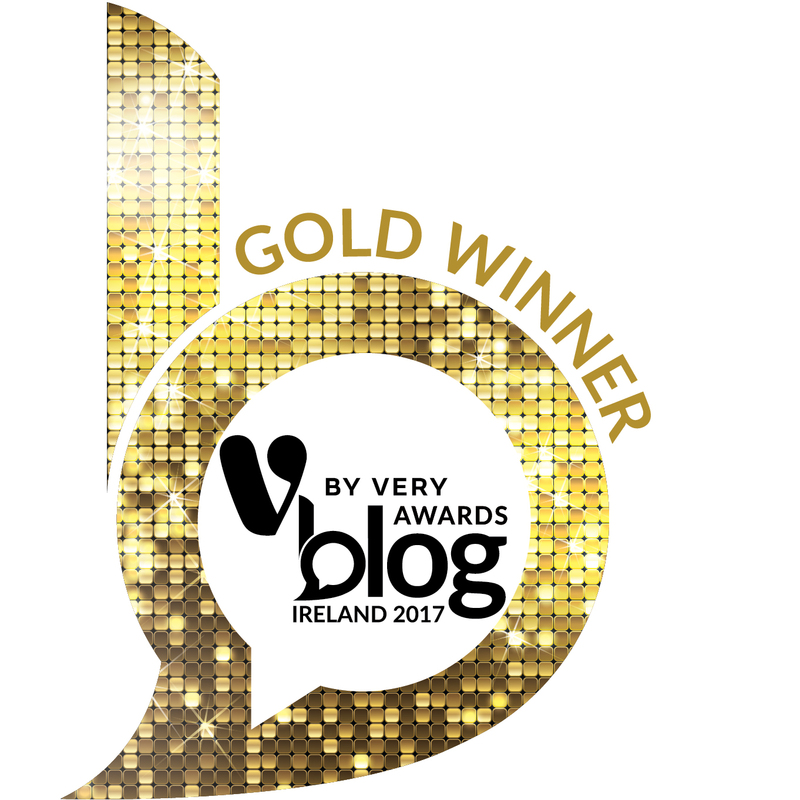 Hopefully you will make some of our fantastic recipes, like the Perfect Irish Coffee or maybe sweet and salty Bacon with cabbage and colcannon?